This will simply remove the spinning around dance animation that they do before dying they will now just ragdoll when killed. Works for kills and dying from a high fall. It will not affect killmoves. 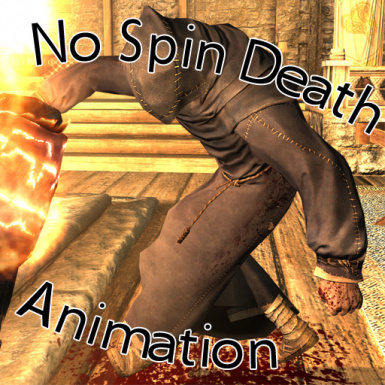 Removed certain creature death pause animations which cause them to lose all momentum, animation snap upon dying, and have no physical push based on your attacks. Includes dragons, falmer, riekling, wolf, spider, giant, horker, bear and spriggan. The generic standing non-killmove dragon death animation is removed. -Check the box for the files from this mod.